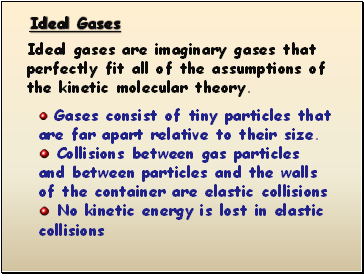 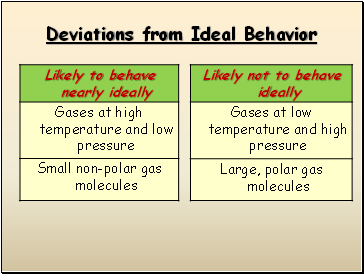 Ideal gases are imaginary gases that perfectly fit all of the assumptions of the kinetic molecular theory. 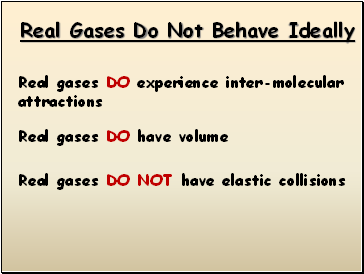 Gases consist of tiny particles that are far apart relative to their size. 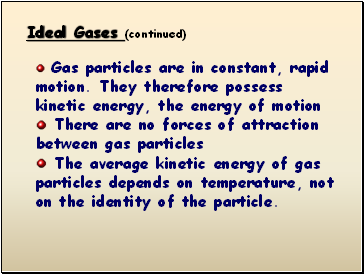 The average kinetic energy of gas particles depends on temperature, not on the identity of the particle. 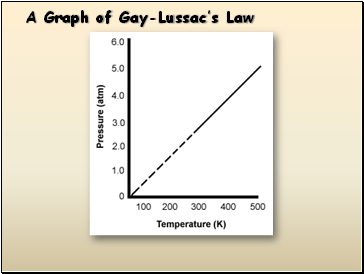 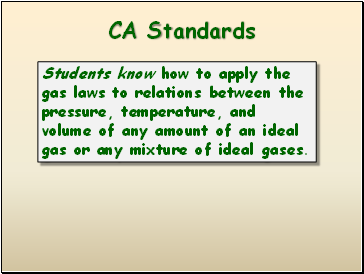 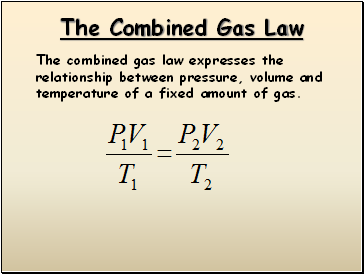 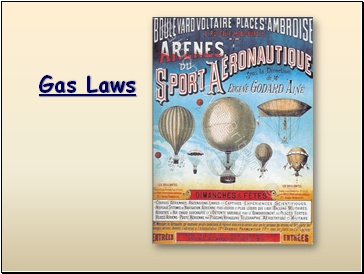 The combined gas law expresses the relationship between pressure, volume and temperature of a fixed amount of gas. 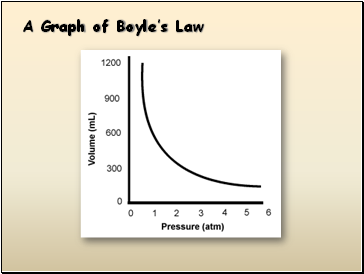 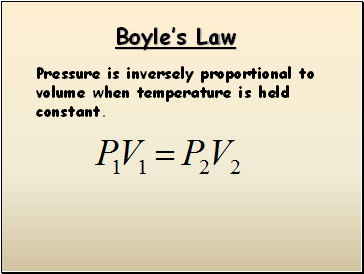 Pressure is inversely proportional to volume when temperature is held constant. 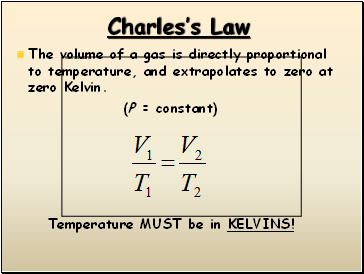 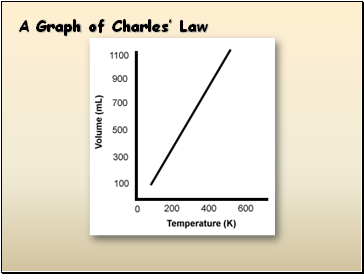 The volume of a gas is directly proportional to temperature, and extrapolates to zero at zero Kelvin. 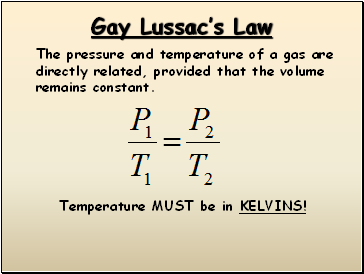 Temperature MUST be in KELVINS!